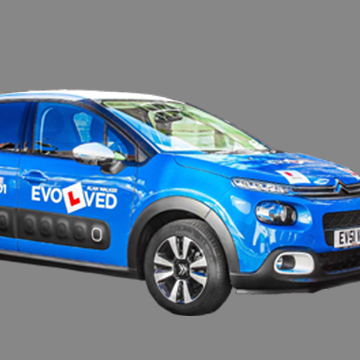 Evolved Automatic Driving School is based in Llandudno and provides Automatic Driving lessons on the North Wales coast between Old Colwyn and Bangor. It is understandable that learning to drive can seem daunting at first, but I assure you that I am patient and reliable and will completely take your needs into account. So whether you’re anxious, worried or not sure automatic driving is for you, I guarantee you will be in safe hands. I have a huge amount of experience as an Automatic Driving instructor. I have helped pupils of all ages and abilities to pass their driving test. Evolved Automatic Driving School will tailor a driving course to fit your needs and experience. To book your first lesson, or simply to make an enquiry, please use the contact form on this website and leave your contact details. I will get in touch with you as soon as possible. For legal reasons if you call me, I may not be able to answer the call, as I will either be driving or in charge of a lesson. Before you can take your driving test, you first have to pass the theory and hazard perception test. Evolved Automatic Driving School will help you with this and advise you on all the best apps to practise with. These lessons will benefit the increasing number of people who have let their driving skills lapse over the years and realise that they would benefit from a bit of extra tuition. Evolved Automatic Driving School will offer you refresher lessons that cater to suit your very own specific needs and circumstances. You can also book lessons for 1.5 hours and 2 hours. The price for 1.5 hours is £37.50 and £50 for 2 hours. I provide automatic car lessons and road safety tuition from Old Colwyn to Bangor including, Llandudno, Colwyn Bay, Rhos on Sea and Conwy.